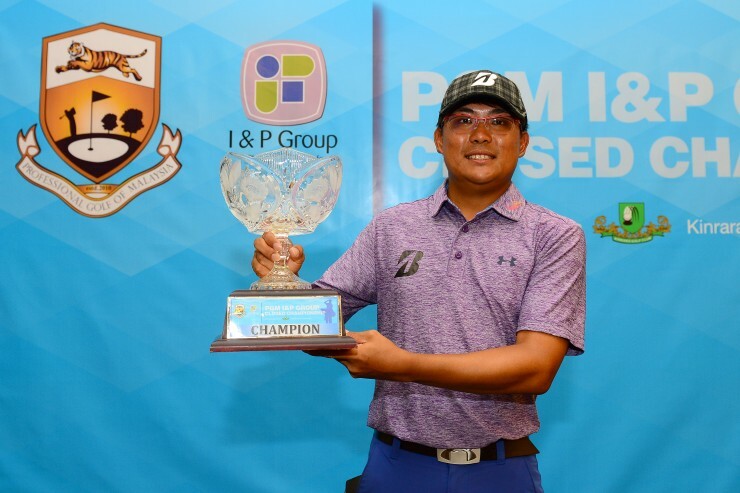 Nicholas Fung won the Professional Golf of Malaysia (PGM) Tour’s season opener when he eased to a comfortable six-stroke win at the I&P Group Closed Championship at Kinrara Golf Club in Puchong yesterday. The 26-year-old from Sabah led from start to finish in the RM180,000 event, from which he walked away with RM30,600. It was a deserved victory for the only player who carded all four rounds in the 60s. He closed with a 67 for a 13-under-par 267 total. Sukree Othman, playing a couple flights ahead of the championship group, also finished with a three-under 67 that left him with a 273 total in second place. Wilson Choo Zhe Ming and Kenneth De Silva, playing alongside Fung, shot 72 and 71, respectively, to slip to third and fourth. Choo, three behind the leader at the start of the round, finished with a five-under 275, while De Silva, who was a further two shots back overnight, ended up with a 276 total. Kemarol Baharin signed for a one-under 71 and fifth place, another stroke back. Shaaban Hussin posted the low round of the day – a four-under 66 – for a 278 total and a share of sixth spot. Muhammad Alwarith Damian (70) and Lim Eng Seng (73) were also two-under-par for the tournament. Fung, who was even-par for a first nine that featured two birdies and two bogeys, made his move after the turn. He birdied three on the trot from the 10th hole and played par the rest of the way in. “I carried that momentum into Kinrara from Glenmarie and really felt good. “There were a few times when I fumbled a little but I got it right almost immediately and never felt under any great pressure. “I am very happy with how I started the year and hopefully I can continue with this form,” added Fund, who was PGM Player of the Year in 2012 and 2013. Sukree said he too was pleased with how he finished the tournament. “I started well when I opened with a 65 but in the second round and yesterday I had a few problems. Today, however, was another good day and I enjoyed it. Choo lamented missed chances and said: “I did not play well today. I tried to hang in there but the two bogeys right at the end (17th and 18th holes) set me back a lot. “It was a tough day today. I didn’t hit the ball well and I didn’t putt too well either. But I’ll keep working at it,” added Choo, who won the PGM’s Langkawi title last season, an event co-sanctioned with the Asian Development Tour (ADT). The lad who turns 26 next month and had a double-bogey six at the 15th hole, as well bogeys on the 17th and 18th, added: “Those last four holes really got to me. In a season that will feature 34 events and carry prize money of more than RM5 million, the PGM Tour’s next event is the CCM Rahman Putra Championship at Kelab Rahman Golf Club in Sungei Buloh, Selangor. The RM200,000 tournament, to be co-sanctioned with the ADT, will start on Wednesday and finish next Saturday.